Gelato might be the Italian word for ice cream, but the popular frozen treats are created using slightly different processes, although both begin with a custard base. Generally creamier and denser than ice cream, which is made with egg yolk and more cream, gelato contains less air and butterfat and is served at a slightly warmer temperature. Ultimately, fans say, these minor variances combine to create a more flavourful dessert with a richer mouthfeel. For gelato enthusiasts, there’s certainly an abundance of retail shops in Rome. 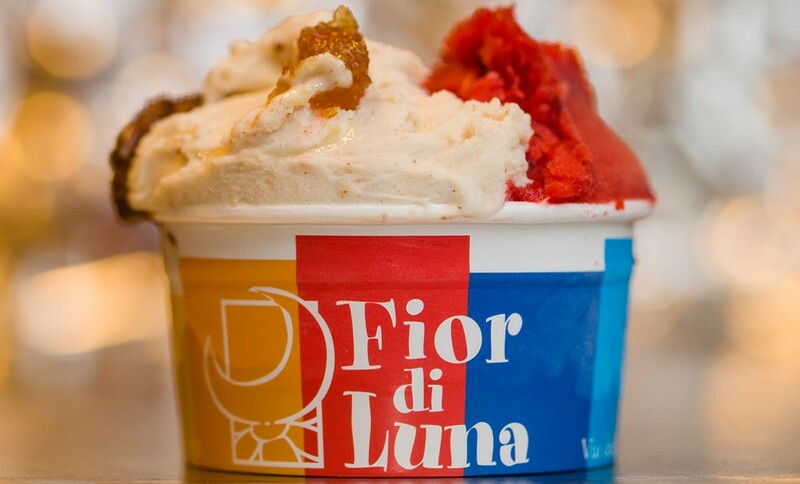 But, they’re not all created equal—it’s worth the detour to avoid the tourist traps and seek out authentic gelateria offering artisanal, inventive scoops made with premium, natural ingredients. Here are the ones to bookmark for your next Roman holiday. 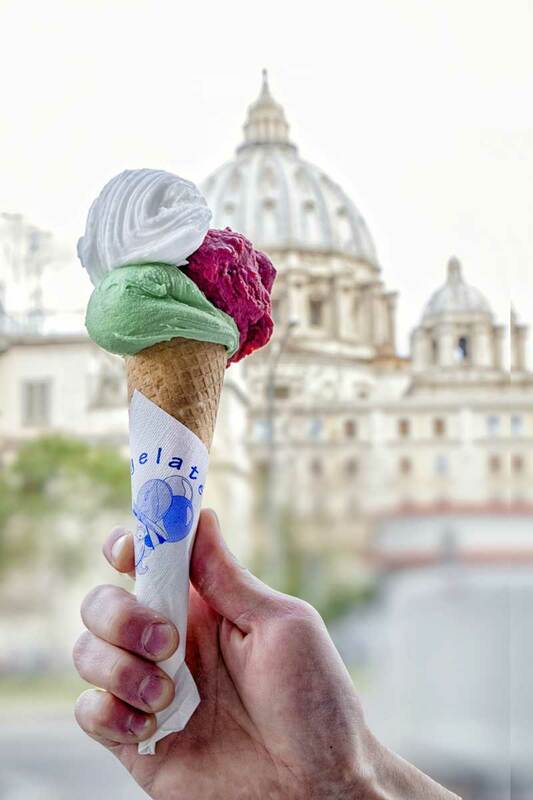 There are now four locations of this mini-chain in Rome, offering delicious gelato made without preservatives, dyes, or hydrogenated fats. Focusing on Italian ingredients and seasonal, local fruits, Gelateria dei Gracchi serves classic flavours such as almond and pistachio alongside rarer combinations including rice-and-honey and ricotta-and-pear. The small storefronts also serve lactose and gluten-free gelato, and other cold sweets. Via dei Gracchi 272, and other locations. If you stop by during the right hours, you can watch gelato being made onsite. But at any time of the day, the stylish Gelateria del Teatro is worth the trip for fresh, interesting combinations like garden sage-and-raspberry and rosemary with honey and lemon. A few trickier flavours, like the funky chocolate and red wine gelato, might not be universally pleasing; but each one is certainly worth a taste. Via dei Coronari 65/66 and Lungotevere dei Vallati 25. On your way to Rome’s buzzy Testaccio market, make sure to swing by this tiny gelato shop on Piazza Testaccio for one of the best pistachio scoops in the city; creamy and packed with flavour. The choices are simpler here—mostly single flavours like mint, strawberry, or cream— but each is clearly crafted with care. Piazza Testaccio 26, and other locations. 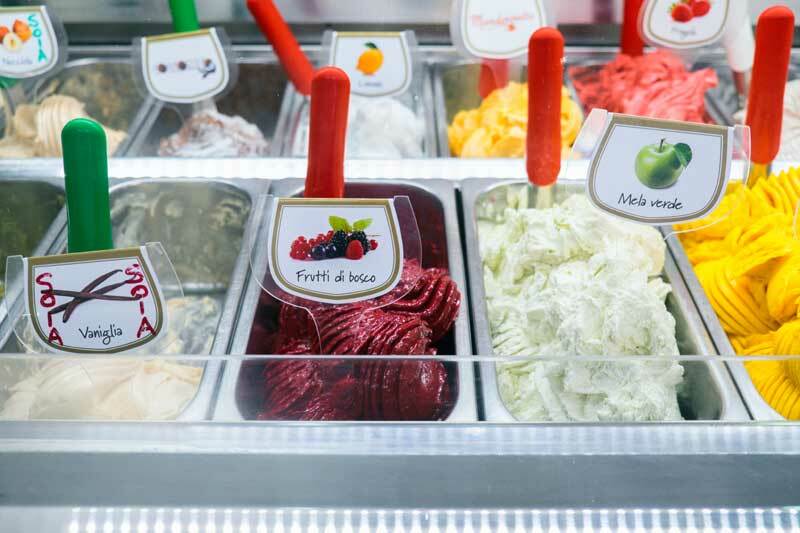 If you’ve ever wanted to try gelato in unconventional flavours such as Sorrento walnuts with rose petals and violet flowers, papaya, or even carrot cake, this is the wildly popular franchise to visit in Rome—there’s even a location in Los Angeles now. Fatamorgana specializes in gelato naturale, which is made without any industrial ingredients. Via Lago di Lesina 9, and other locations. This artisanal shop in Rome’s hip Trastevere neighbourhood sources their pine nuts from San Rossore and their hazelnuts from Piemonte. 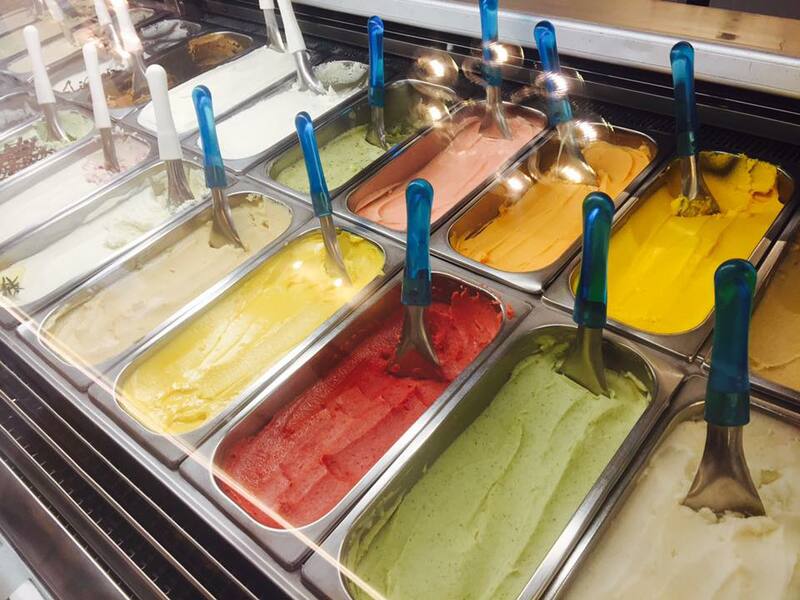 The pistachios are ground with stone and the gelato made using organic and seasonal ingredients. But what you really need to know is that the gelato, especially the chocolate flavours, is decadently rich, made fresh in small batches, and highly addictive. Via della Lungaretta 96.